With a teaching team of native speakers, we’ve got a Spanish course in Quito for you. Read on! A window to a world of adventure! Discover activities to compliment your Spanish studies in Quito! 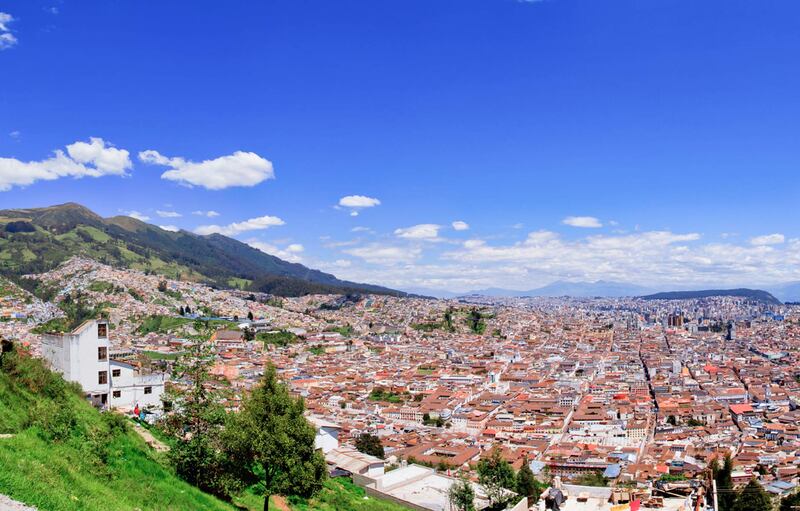 Quito is jam-packed with accommodation options for your stay in Ecuador. Choose yours now! Ailola Quito is one of Ecuador's most renowned Spanish-language schools, having opened its doors to students way back in 1988. Passionate about our city, we proudly offer students the unique opportunity to learn in our warm, homely facilities, which are conveniently located in the heart of Quito's colonial city center. Walk to class each morning through Quito's cobblestone streets and you'll spot some of South America's most pristine colonial monuments! To top it off, we're certain you'll make leaps and bounds with your Spanish-language skills at Ailola Quito. Our teachers are experienced, University-educated language teachers. They're also native Ecuadorians, which means you'll gain a unique insight into local life. And to be sure we meet your expectations when you learn Spanish in Ecuador, Ailola Quito follows high international standards for foreign-language instruction, using only proven teaching methods and assessment models. Our Spanish courses are truly world-class! We've saved the best 'til last! Did you know that Ailola Quito is your gateway to enchanting Ecuador? Our unique Traveling Classroom experience offers you the opportunity to learn Spanish in Ecuador on the move. And our classrooms aren't limited to Quito! You can learn Spanish in Ecuador's world-renowned Amazon rainforest, in the stunning traditional village of Otavalo, on an hacienda, or within a Shuar community. How about the Galapagos Islands? The sky's the limit at Ailola Quito. So back your bags and come learn Spanish in Ecuador with us today! 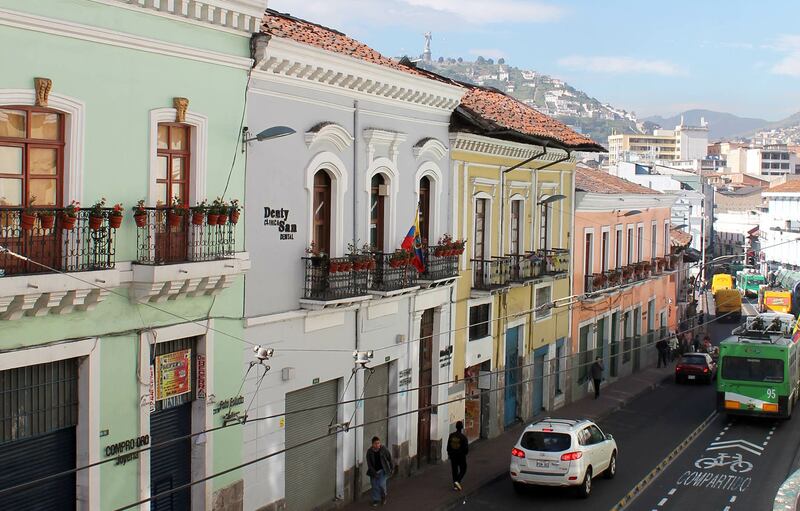 Ailola Quito offers you the chance to learn Spanish in Ecuador's beautiful cultural centerpiece: Quito's old town. Enjoy cobblestone alleyways and historic monuments, and share with us our nostalgia for Ecuador's fascinating history! We're the only local school with classes right across Ecuador! Ailola Quito will take you to Otavalo, Galapagos, the Amazon and beyond. What better way to learn Spanish in Ecuador than by discovering as much as you can of our tiny but mighty nation? Ailola Quito is a leader in innovation when it comes to language teaching. Our Traveling Classroom program gives students the chance to learn Spanish in Ecuador on the move. You'll discover the Amazon and the Andes, even retrace Darwin's footsteps! If other language schools can offer you years of experience, let us take things one step further! Decades? Ailola Quito has been teaching Spanish to foreigners since 1988. We're recognized by the Ministry of Education and have a proud record of top student satisfaction! 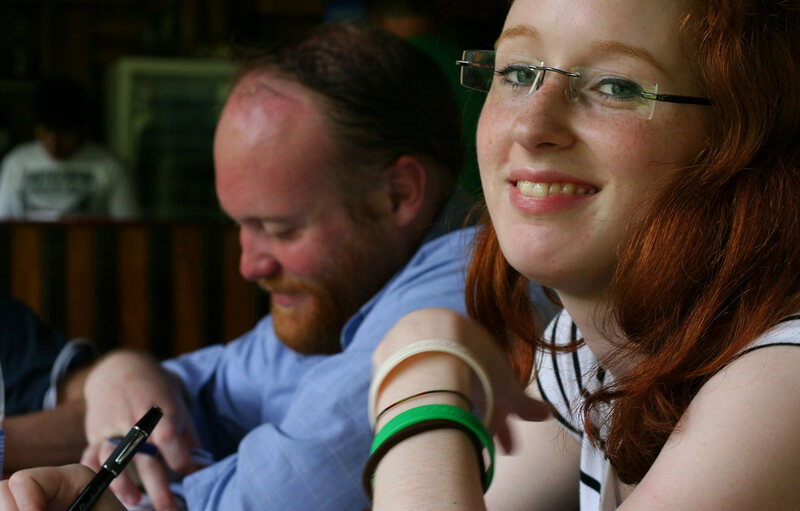 The teaching staff at Ailola Quito are University-educated native-speakers. What does this mean for you? You'll learn Spanish in Quito with the benefits of combining quality education practices with our staff's innate knowledge of the local culture and language. From organic farms and child welfare through to animal rescue projects, our volunteering options will show you a whole other side to Ecuador. Like many Ecuadorians, the team at Ailola Quito is committed to giving back to the community. Will you join us? You won't just learn Spanish in Ecuador, you'll also find out what it means to be free! Ailola Quito has busy afterschool activity schedule that will introduce students to the best of the best in and around Quito. We'll also take you further afield on incredible weekend excursions! Our large network of Ecuadorian homestay families offers you the chance to experience life in Ecuador from an entirely different angle. With a focus on Spanish-language immersion, it's also a great way to bolster your Spanish skills. The teachers are very good and extremely patient. It has been an incredible 2 month adventure and I highly recommend this school for anyone seeking to learn/improve Spanish. My trip to the Amazon jungle with a teacher from the Spanish school was fantastic. During the breaks between excursions I had Spanish lessons. I've really enjoyed it! During the Spanish course in Quito I learned so much about cultural differences and life in Ecuador. It was such a great experience ... ¡Gracias! Ailola Quito was rated 4.8 out of 5 based on 132 reviews. © 2019 Ailola Quito. Powered by Ailola Lingua — Pracuj dla nas!